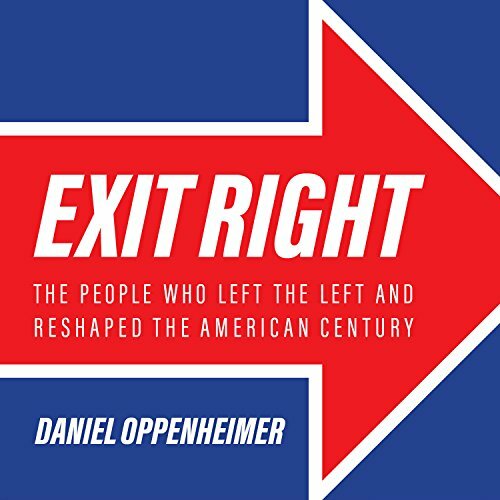 Showing results by author "Daniel Oppenheimer"
In Exit Right, Daniel Oppenheimer tells the stories of six major political figures whose journeys away from the left reshaped the contours of American politics in the 20th century. By going deep into the minds of six apostates - Whittaker Chambers, James Burnham, Ronald Reagan, Norman Podhoretz, David Horowitz, and Christopher Hitchens - Oppenheimer offers an unusually intimate history of the American left and the right's reaction. Very insightful book and historical analysis.